The Political Quarterly: Scotland, renewable energy and the independence debate: will head or heart rule the roost? Scotland, renewable energy and the independence debate: will head or heart rule the roost? Five energy experts led by Dr David Toke of the University of Birmingham cast doubt on notions that Westminster would continue to pay for the achievement of Scottish Governmental renewable energy targets if Scotland becomes independent. 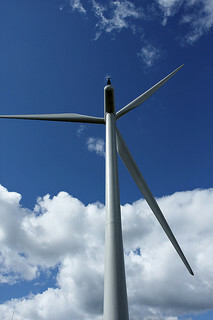 Renewable energy development is a centrepiece of SNP policy. The Scottish Government has led the way in the pursuit of ambitious renewable energy objectives, but it is still the case that without the subsidies paid by electricity consumers in the rest of the UK, the Scottish Government's ambitious targets for renewable energy would be politically unachievable. You can download the article free here.